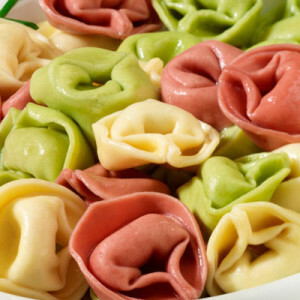 Translated as “little twisted ones,” tortellini is pasta from the macaroni family stuffed with meat or cheese and other ingredients. With such rich fillings, they are best served in simple sauces or in soups. 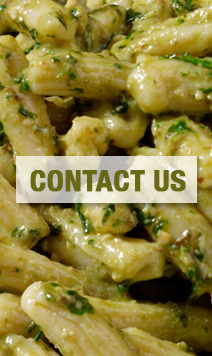 We craft both tortellini and their large cousin, tortelloni, and fill them with fine cheeses and vegetables. There’s nothing quite like biting into a gooey stuffed tortellini. We start with one of our signature extra thin doughs and fill them with genuine Pecorino Romano and whole milk Ricotta Impastata for tangy perfection. There’s nothing quite like biting into a gooey stuffed tortellini. We start with one of our signature extra thin doughs and fill them with imported porcini mushrooms, genuine Pecorino Romano, and whole milk Ricotta Impastata for tangy perfection. There’s nothing quite like biting into a gooey stuffed tortellini. We start with one of our signature extra thin doughs and fill them with imported provolone and proscuitto, genuine Pecorino Romano, and whole milk Ricotta Impastata for tangy perfection. There’s nothing quite like biting into a gooey stuffed tortellini. We start with one of our signature extra thin doughs and fill them with pumpkin, genuine Pecorino Romano, spices, and whole milk Ricotta Impastata for sweet perfection.